Custom Championship Rings designed and made in the USA. Customized National, State, Youth & High school championship rings. High Quality, Low Cost Rings. 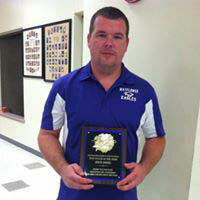 We provide personalized championship rings for all budgets. Order direct from our factory and save the middleman cost. We provide bulk discounts. Get a quick quote or call us direct at 877-269-5646. Description: These League Championship Rings are designed for higher volume league orders with quantity discount price-points to provide you the best value for your budget. All championship rings are fully customized to your desired specs.Contact us today to confirm pricing and delivery times. 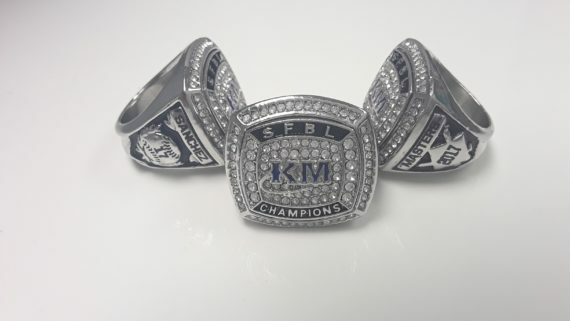 Description: Our Express Championship Rings are designed for smaller volume league or team orders with quantity discount price-points to provide you the best value for your budget. All championship rings are fully customized to the your desired specs. Contact us today to confirm pricing and delivery times. Description: Our line of Extreme Series Championship Rings are designed for the discerning, elite athletes. If you can imagine it, we create it! Individual MVP or National Champions. We can do it all for you at an affordable custom manufacture price. 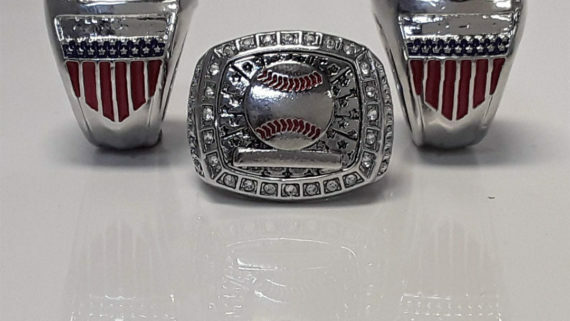 Description: Our All American Championship Rings are designed for any volume league or team orders with quantity discount price-points to provide you the best value for your budget. All championship rings are fully customized to the your desired specs. We are the top custom championship ring manufacturer in the USA, with complete design, marketing and customer service support. 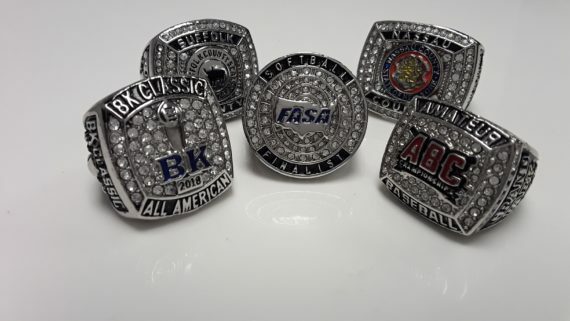 We make high quality, unique and memorable custom state championship rings for all budgets in a wide variety of styles. Quality Craftsmanship. As a championship ring manufacturer, we value handcrafted quality products and service to our clients. Our rings are handcrafted in our exclusive premium metals: Titan Steel Base Metal, Silver, Gold, Platinum. We use only the highest quality AAA rated cubic zircons that look and sparkle just like genuine diamonds. Inside ring engraving also available to clients looking for that extra personalization. All prices below are estimates — ball park prices based on our many years of experience. Please call to confirm exact pricing as all projects are not the same. We make special youth championship rings for young athletes, engraved them with their individual name, the championship title and the team logo. We have been the choice of America’s youth since 1955. Champions, athlete athletes and youth starters have proudly worn our rings for generations. We can guarantee our quality because each ring is carefully designed using only high quality raw materials. How to Design a Custom Championship Ring? We provide high quality cheap custom championship rings with fast turn around. We can meet any deadline, order you rings today and wear them tomorrow. fantasy football, lacrosse, hockey and all sports rings. High Quality, Low Cost. We encourage our emerging athletes. Our youth championship rings are specially designed rings for youth and kids. Low cost, affordable rings. High school championship rings specially designed for youth, k-12 and collegiate levels. Quality Guaranteed. Custom fantasy football championship rings starting at $29.99 ea. 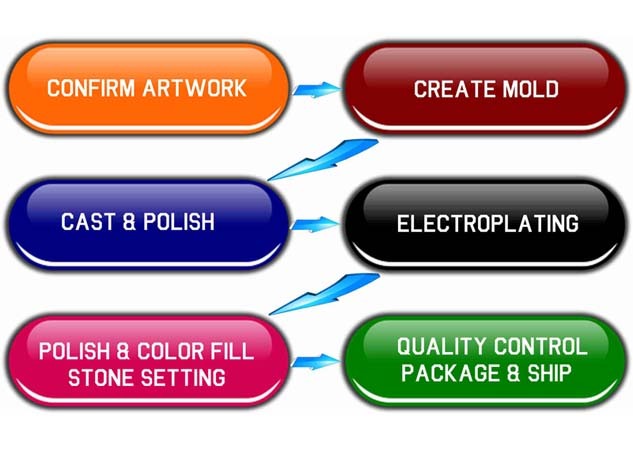 From quick to complete customization for all budgets. A championship ring is a ring that is given to the players of the winning team in any sport specially in America and Canada. It is considered as a symbol of victory. Professional championship rings are made with white gold and diamonds. Yellow gold is also use for certain rings. The first championship ring (World Series Ring) was give to the members of New York Giants in their 1922 Word Series victory. Prior to that, keepsakes were given to the member of winning team as a commemoration. After 1922, each year either keepsakes or world series rings were distributed among the members of world series winners. Later, it became a tradition to give commemorative championship rings to world series winners. Every World Series winner team has been awarded with rings since 1932. Now in America, Canada, England and most parts of the world, ring is becoming a trend. Specially in USA, custom rings are given to the players of teams that win state championship in football, softball, baseball, basketball etc. Championship rings are not restricted real sport only, fantasy rings like fantasy football rings etc are trending as well. The popularity of fantasy football has grown over the years and so does fantasy football rings. Describing the most demanding rings I am going to opt in famous 30 by mentioning winning year at the beginning for triumphant. All sporting events not specific to US who offer those as commemorative rings all around the globe top 30 are as follows for you. 2006 Miami Heat, 1972 Miami Dolphins, 1985 Chicago Bears, 1976 Oakland Raiders, 2004 Boston Red Sox, 2002 Anaheim Angels, 2005 Chicago White Sox, 2008 Boston Celtics, 1968 New York Jets, 2009 Pittsburgh Penguins. 2007 Anaheim Ducks, 2010 Chicago Blackhawks, 2003 Florida Marlins, 1967 Green Bay Packers, 2010 New Orleans Saints, 2002 Detroit Ring Wings, 1994 San Francisco 49ers. 2007 San Antonio Spurs, 2010 San Francisco Giants, 1999 New York Yankees, 2001 Colorado Avalanche, 1998 Denver Broncos, 2004 New England Patriots, 2007 Indianapolis Colts, 2000 St. Louis Rams, 2004 Tampa Bay Lightning, 2008 Philadelphia Phillies, 2009 Los Angeles Lakers, 2008 New York Giants, 2009 Pittsburgh Steelers. Custom championship rings are now becoming the trend. Just like digitalism has begun to dominate our lives, the custom championship rings are becoming the 21st century trend. But no present can sustain without the backup from the past. In the same vein, the 21st century rings are essentially a result of years of expertise stemming from the craftsmanship of the 19th century. Inside ring engraving is also available, providing higher personalization to your custom championship rings handcrafted with premium metals. Design and create with us your original personalized championship rings with logo, individual name and championship title with the highest quality AAA rated cubic zircons sparkling like authentic diamonds. Traditional custom championship rings have diamonds stones studded. 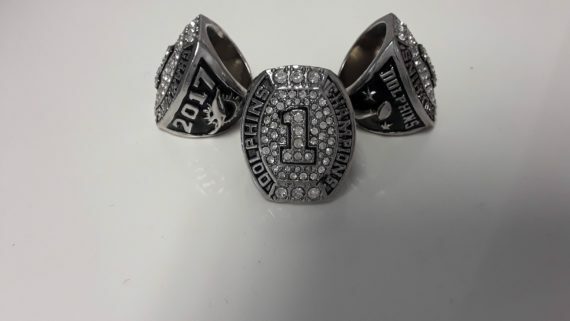 These custom championship rings have the team logo, team name, league year, player’s number, team position, winning year etc. Some new trendy custom championship rings are found with some quotation engrave inside the rings as well. With the use of all such stuff typically it denote in Roman numerals on those memento. Before 1922 World Series, Participant of the World Series-winning team were honored with souvenir. Like pocket watch fob and pins. First World Series ring was awarded to New York Giants for their remarkable triumph in 1922 World Series against New York Yankees. Afterward NYC Yankees claim 1923 World Series, and member was granted memorial pocket watch in the ceremony. NYC Yankees first time award rings to its players following the 1927 World Series. From there on rings became an annual custom in the 1930s, after it every World Series champions team been awarded with rings to its contestant since 1932. In addition to the medals routinely given in international events, respective governing bodies are responsible to award their triumphant with memento rings. Exclusively in ice hockey, Canadian, American, Russian and Czech federations follow the practice on competitions. Another trend is Champion of league or series traditionally offer his rings. Whomever they want, including the players active schedule or injured. Customarily trainers, coaches, executives and staff member be given the rings. Many players had history of giving rings to Ex players who are not official part of victorious team. Even some give it n to fans as part of a charity raffle with name embossed witnessed in Larry O’Brien Trophy and Stanley Cup. When it comes to personalized jewelry, personalized rings are the representation of special moments full of stories that we want them to last forever. We are providers of the most affordable personalized rings with a wide range of options to choose from such as shape, color, gems, diamonds, etc. Whether you are looking for personalized rings for her, custom engrave promise rings or personalized name rings; design your own ring and we will make it happen based on your specifications. We are making high quality and affordable personalized championship rings for decades. 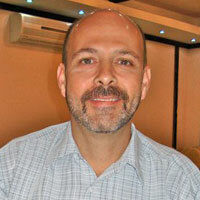 Quality through hard work has been the core principle of the company’s founders. At the same time, we have not forgotten our corporate social responsibility. A certain percentage of everything you buy reaches out the widows, orphan kids and the needy in general. When you buy that means you indirectly offer a helping hand to the needy as well. Each championship ring is carefully designed to exhibit typical symbols of respective teams. Our unbeaten digital jewelry makers do the perfect detailing of your championship ring that esteems your achievement in ground. We totally understand that commemoration of Championship Game Last Long once Buzzer blown finally. Give us a chance to make your moment more special because for us it’s your life time memory not a piece of metal. Get your personalized championship ring today from us at wholesale price. American championship rings history is zealous. However, at a glance traditionally made of white and yellow gold with studded diamonds. Comprise of team logo, team name, league year, player’s number, team position and the championship number typically denote in Roman numerals for NFL’s Super Bowl champs. In contrast championship ring code varies among four major professional leagues. More over if we see NBA regulate its championship ring from 1969, currently the triumphant team chose its own style and design and the league bear cost according to the norm. In North American pro teams, of playoff league championship is the only most worthy part of the season. Other championship rings like state championship rings or customized championship rings for youth, kids, or high school are made from iron, stainless steal and alloys. Instead of diamonds, these custom made rings are made from zircons, that just look and sparkle like diamonds. Looking for that perfect gift that will make you stand out from the crowd? Trust in our creative and innovative team of experts that have the skills and expertise to understand your needs and capture the essence of your design. Some of our personalized rings include engraved rings for couples, men engrave promise rings, personalized rings for him, championship rings, etc. with a detail-oriented design and manufacturing process to guarantee high-quality custom jewelry. For those in need of high school, college or graduation rings, Digital Jewelry always offers a recommendation on the best stone which best suits your personality in order to reflect your unique spirit in that special day. Our collection of graduation rings is tastefully designed to make it flawless, contributing to make of that day a memorable moment. Most eminent four championship rings in North American professional sporting events are NBA Championship ring, NFL’s Super Bowl ring, ,NHL’s Stanley and MLB’s World Series ring. In popular league, such as the Major League Baseball (MLB) and National Football League (NFL), traditionally rings are awarded to runners up of championship game. For instance World Series and Super Bowl are the best practice of it. In American college basketball history, championship rings were awarded to the triumphant of NCAA Division Men’s Basketball Championship. For last two decades it has become common practice between Canadian and American high schools to give championship rings to state champions in their respective sport to honor their achievement. Major League Baseball is the biggest sporting event in North America. It was founded in 1876 and the American League was founded in 1901. Later, both merged in 2000. 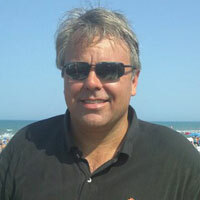 Presently member teams are 30, having 1 in Canada and rest 29 in the US. Baseball is considered to be the first professional sport in America. Typically called national pastime. The National Basketball Association NBA is the premier basketball league in the world. It was founded in 1946, and adopted as official NBA in 1949. Four teams from Antagonist Basketball Association joined NBA in 1976. Currently 30 teams,1 from Canada rest 29 from the US are taking part in NBA. The National Football League ( NFL ) was founded in 1920 as a merger of different teams from regional leagues. Currently member teams are 32, all in the US. Since NFL games are popular known to be most attended leagues of world regarding every single game attendance. Championship game of Super Bowl and Super Bowl XLIX are being the only most watched event in U.S. history of television. However, NFL is the only single major league not having its official presence in Canada. The National Hockey League (NHL) is the only major league having Canadian origin. Founded in 1909, there are 31 member teams, out of which 24 are from the US and 7 from Canada. It is the most popular league in Canada, and northern US. Digital Jewelry is a company that took off with the late 19th century Italian craftsmanship. Based in the USA, we are top manufacturer and designer of custom championship rings. You can bank on us for quality and a wide range of championship rings. We have expertise of more than 100 years as descendants of Italian craftsmen who migrated to America through Ellis Island, NY. We still live up to our initial mission of reviving the Italian craftsmanship on the global platform. Run by a family, we committed to design jewelry of beauty beyond time. Our expertise can do wonders to the cherished moments and precious memories of your life. For decades, hard work, perseverance and patience have been part and parcel of the company. Under the umbrella of hard work, the customers can look forward to first class products well worth the price.